Join us on Thursday, February 8, as we celebrate our local Marysville treasures at our new Local Expressions event. Enjoy wine from Dalton Union Winery, and photography from local artist Jerry Newell. Pathways Financial Credit Union will host the event at our Marysville branch, 121 Emmaus Rd. with co-sponsor, the Marysville Art League. Admission is free. it is a favorite destination for natives and visitors. Visitors enjoy cheese and other snacks paired with selections from Dalton Union wines. Jerry Newell has enjoyed the view from behind a lens for 20 years. In 2016, he decided to make a career change, and in 2017 he launched his business Dynamic Designs Photography & Artisan Gifts. While his passion and specialty lie in his ability to capture the beauty of nature, he is also proficient in portrait photography and upcycled crafting. 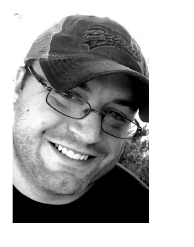 Jerry loves the outdoors and spending time with his wife and their three children. He is even sharing his love for the camera with his youngest son, who also wants to be a photographer when he grows up. 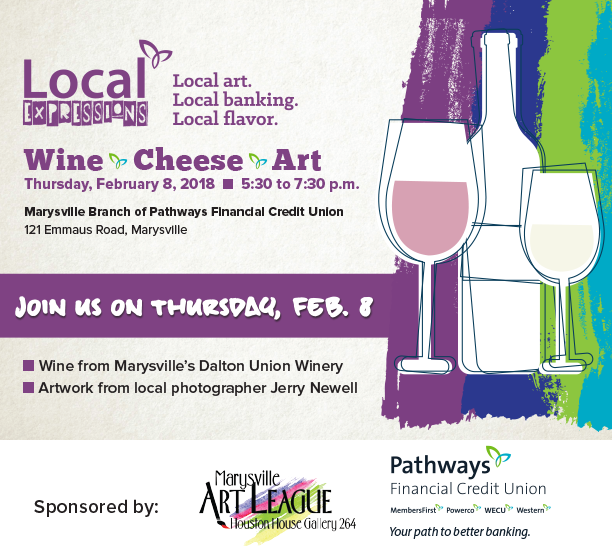 Local Expressions is a free community event sponsored by the Marysville Art League and Pathways Financial Credit Union that celebrates Local Art, Local Banking.